Ktec say they offer a discount to cliosport members. should we try to negotiate a discount for OZRS members. A discount of 6.66% would be OK if they could significantly sharpen their freight costs to Oz. i dont see why they have to make a margin on there freight as well as products. i alone have spent about 600-700 pounds on things at DT i could have got at K-tec but the freight was more. Interesting idea (not sure about the likelihood of success) but I found the freight to be a bit on the expensive side also. Interests:Cars, Bikes and having a laugh! has any one here actually bought anything from ktec? how about supporting the local guys? I bought some things from ktec which I didn't need just yet (belts, bearings, brake pads) and also an air filter (which I did need - desperately!) only because even after taking into account the freight cost, the local prices are just too expensive. PS - I would always prefer to support a local industry / merchant, even if I have to pay a little more, but when their prices are way too high, I too will sadly send the money overseas. It'd want to be a pretty substantial discount to make it worthwhile. You could probably save more by shopping around as has been previously stated. The other issue that ties in with this is how would we define who a member is, and therefore benefit entitlements? Cliosport charges for "club" membership while ozRS doesn't. You could theoretically join up ozRS and claim your discount 5secs after. The admins have previously decided to try to keep this place advertising free. However, we're always open to changing that viewpoint if we see significant benefit to the site and its users. K-Tec do make / offer some kit for both Clios and Meganes that I don't think you really can "shop" around elsewhere for. However, I do like the fact that this site is free for all to enjoy (as well as advertising free), and I guess thats something I would probably not vote to sell out on. Its a bit of a tough one. I never got around to finalising some T-shirt designs I'd been toying with, but I will continue to chip away at those until I craft something special. I'm sure we could sell quite a few tastefully designed pieces of apparel. Ideally, I'd like to see OzRS supplying second hand car parts to its members. Sadly, there are always wrecked cars coming up for sale, but good could come of that: we can keep our members stocked up with replacement parts at competitive prices AND maintain a healthy profit for the site. It means at least $5K would be required to buy (and store) the first suitable wreck. It would mean we'd need people willing to lend a hand to dismantle, pack and ship parts... Yes, all big-picture stuff, but I can see it happening. I don't know of any other forum or club that would go to that extent, but what's stopping us? Everyone complains about the stiff prices for parts, so why can't we do something about it? To take it to that level we would need to become a fully fledged business entity, but we will continue to struggle otherwise. Anyways, coming back down to earth... There are still a few 09 calendars that were requested but have not yet been paid for - plus, by my rough calculations, there are about 10-15 unclaimed. Once they are gone, they're all gone folks. Also, there are still a few leftover souvenirs from the National Meet unsold. Don't hold back now peeps! Wow.....I like your "Big Picture" stuff there Dish....took me on a bit of a dizzy roller coaster ride there as I was reading it.....in fact...I just rebuilt my new shed in the back yard (in my mind)......twice the size I had planned. No reason not to shoot for the stars. But seriously, does the site struggle to meet its financial obligations ? I am sure there are many site users ( like myself) who have no idea what the site costs to run and maintain per annum. Sure we make donations at various times, meets etc, but could / should we do more ? ive always thought about designing a big golf style OZRS umbrella and trying to make an overal profit for the site. I sahould get cracking on that as well! Time would likely be happily donated by suckers like myself who wouldn't otherwise get the chance to tinker with the inner workings of a Meggy, for example. But seriously, does the site struggle to meet its financial obligations ? We're pretty sound, and thanks for asking. It's one of those things, the more cashed up you are, the more stuff that you can potentially do/offer your members. However, bigger does mean more complicated and more work for some. You also need a support base to take advantage of what's on offer. I'm personally fairly happy with the way things are at the moment and the balance of the above. Well I'd alos say we are sound, but only to a degree. When it comes to hosting, the monthly bills are met. Cashflow isn't too bad in that respect, from the small trickle of sales for stickers and cards. We currently operate as a not-for-profit. As you can understand, when you know that something is tangible then you can trust in putting your money down, knowing that you will get what you pay for (hmmm... sounds like a parallel with VDA and the 197 Cup...). I think half the concern with those not committing to the calendars, for example, was that there was still a chance that the whole thing may not have happened at all. If we had the funds to just do it outright it would have been far easier for us to organise and members would more than likely have stumped up without hesitation. I guess Moosey summed it up, in that the more moolah you have behind you the more you can offer. Imagine for instance a National Meet at half the cost to participants because we are able to subsidise the event by other means... or we could perhaps pay someone a part-time wage for Admin/book keeping work... stuff like that. I reckon the demand for parts will make it viable for us to go down the supply route in future (and I'm not surprised by the examples dragyn mentioned! I couldn't have been the first person to think of it LOL) but yes, more complicated it would be for those behind the scenes. I'm personally anti-advertising. I love the site being self-funded and I believe the benefits would need to be significant to consider advertising. If particular dealers or suppliers want to join the forum and contribute they are welcome to. That is a lot of free advertising for those with a genuine interest. Dish, you are a legend. Advertising may be a win-win for both manufaturers and members here.... but the reason I love this forum is that its not influenced or censored by fear of sponsor widthdrawal.. you get the "warts and all".. I would rather own a car where 90% of problems are known than be unaware of the potential problems and cost down the road. Having a potential issue not discussed (i.e. RSC subframe etc.) 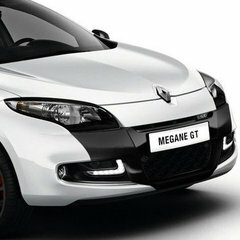 cause it may aggrevate Renault Australia is contrary to what I believe this forum is about. Car makers/tuners/mod shops could perhaps have their own section? to showcase their wares and also be prepared to answer questions rationally. It would help their bottom line to partake here, after all, this is the site for anything RenaultSport related in Australia. If there was a consensus to allow adverts it would be good IMHO to restrict it to it's own section so that users who were not interested were not spammed by these ads. However i also agree with Deb (there has to be a first time for everything.... ) that there is definately an opportunity for experts and companies to join and provide advice/contribute to forums and thus potentially drive their business like that, they just need the motivation and drive to do it.........henk would be an example of someone who has done this. Has anyone thought to ask KTec if they would like to "Advertise" in the new "Commercial" section of the forum ? Maybe I read things wrongly, but I thought the general undertone of peoples posts in this thread was that they didn't want "Advertising" in the forum. Not that people were "against" it, but they just preferred being self funded. Were the "Forum Members" as such, ie, those who help support the forum through donations asked about this change of direction (and I just missed it), or was this an "In House" decision by the Admins. I think it was more of a move to allow current forum members to advertise their own businesses on the forum without cluttering up the "for sale" or "group buys" threads. Admins, please correct me if I'm wrong? We've not really discussed the likes of KTec running advertising. The commercial section was more to address the fact that we have sellers in the For Sale section that are "selling for profit", typically in multiples.